Strike It is the leading and one of the most read sports journal all over the globe. It’s the most read and followed journal when the domain of sports especially football is under consideration. This magazine has readers from all age group, but it especially attracts young boys’ and girls’ especially those who caresses especial interest for football. 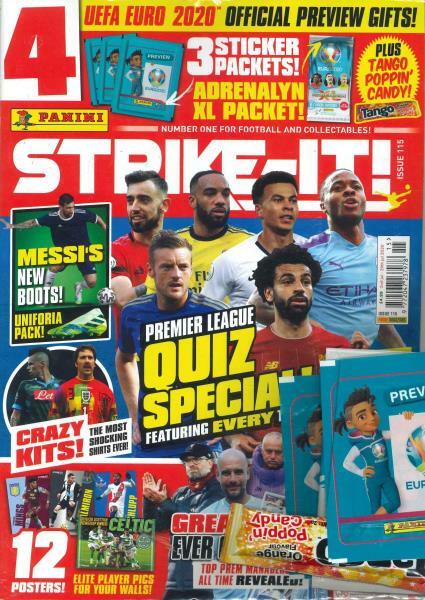 If you are a crazy follower of the game like me then you will love strike it magazine as it provides you with football news from all corners of the globe. The Convention Announcement part of the periodical gives news and updates of any upcoming important matches in various parts of Europe and beyond and thus Strike it is a dependable source provider for people who worship this game. Strike it has a section where budding footballer’s queries related to this game are answered by the experts of this game. I got a subscription and it was brilliant.